2 player adventure game in bB. Now playable by 2 players, and you can win! Return the cross to the dark blue castle, but don't get trapped or killed by a dragon or flying eye! Find the wand to teleport or the wand to shoot dragons and eyes. Suggestions are all welcome! (Especially those that can help me reduce the code size- trying to keep under 4k). Edited by Fort Apocalypse, Thu Oct 18, 2007 10:30 PM. Thought I'd start a 2 player adventure game in bB. So far I've just created a simple "AI" for the 2nd player. The goal will be to have 1 player or 2 player game. If having computer control is too much of a pain for 1 player, I may just get rid of the AI player. I wouldn't bother with the AI, I'd just not have the second sprite in a 1 player game. Here is a one player version that shows how I'm thinking an object can be carried simply. It doesn't work as smoothly as Adventure does it though. And yet another version that has the ball as the second player for now. The crappy AI is there just to show you how the second player could interact. 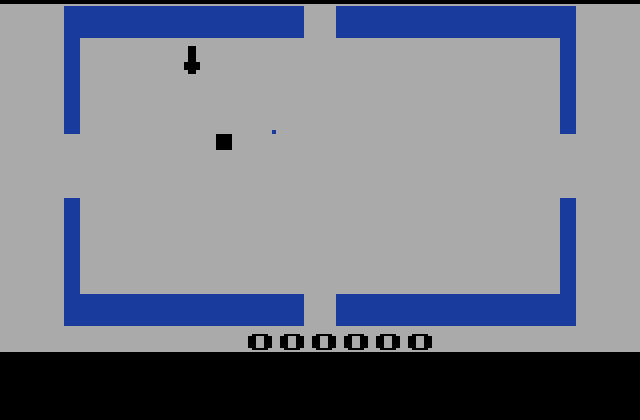 Unfortunately you can't resize the ball's height in multisprite kernel, and I can't use one of the other player sprites without losing easy collision detection. It might be fun playing the dot though. Could fit through tight spaces but you just move slower (to give it a handicap). Woohoo! I figured out how to handle two different items. There are now a shovel and a gun in two separate rooms. You can hold them, switch them around by grabbing the one you aren't holding. Did this by checking proximity to player1 among other things. Man that was fun! * Magic item - not sure they purpose of this yet but will involve sound and flashing background maybe. Maybe it opens up portal to void? * Retrieve something besides a chalice? That's all I've thought of so far. No idea yet how much will be doable. 0.3 released. slip through walls bug gone, wand makes you teleport, more rooms. no monsters yet. For one or two players. Dragon and Eye are enabled and attack and can kill you. You can kill them with the staff. Rooms make sense (somewhat) and there is somewhat of a map. Two castles. No point to game yet except to kill dragons and floating eyes with staff. What do you think? All ideas are welcome! Edited by Fort Apocalypse, Wed Oct 17, 2007 9:38 PM. Hope to see this game finished,one day. Edited by Fort Apocalypse, Thu Oct 18, 2007 10:29 PM. 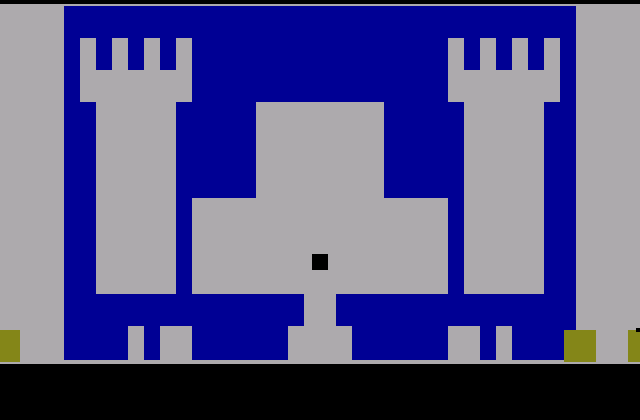 * There is a cross somewhere south or just southwest of the blue castle (starting castle). The quest is to find the cross and bring it back to the castle. If so you win (you currently get killed when you win. If I can fit a win sequence in, I'll definitely add that later). * The black stick with the crook at the top (the staff) just outside of the castle lets you shoot. There is a bug with it that you can just shoot the missile and it stays (somewhat) stationary. If you can figure out what is wrong, let me know. * The wand (stick with big circle at top) lets you teleport. This is only useful currently to help you get out if you are trapped in an enemy castle (which will happen periodically and you have to turn it off/on to restart the game because I didn't have enough space left in 4k to reset. Will fix that eventually. * Dragon and eye will kill you if they attack you long enough. * If you're lucky or crafty you can walk through walls. It usually happens by accident for me. Whenever I've tried on purpose I have a hard time doing it. Walking through walls is a good way to get stuck in a dungeon. Let me know how it goes! Had to switch to non maze rooms for now to save space. One more thing... the selection (1 or 2) at the beginning is for # of players. 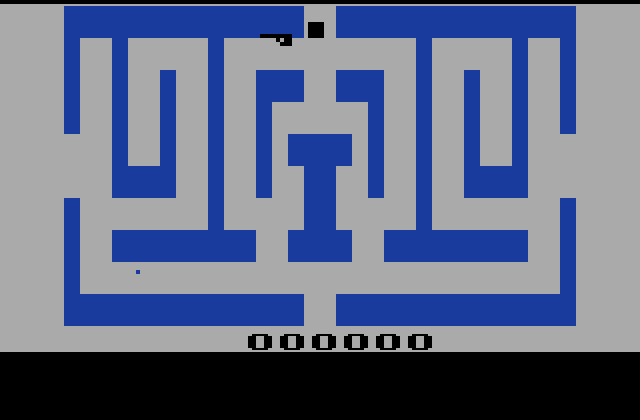 The second player plays as the elusive "dot" from the first Adventure, except that the players can see the dot. 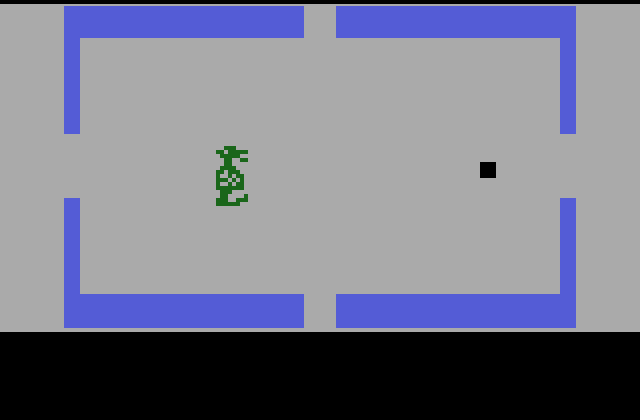 However, the dragon and eye cannot see the dot player, which makes him good for sneak attacks. 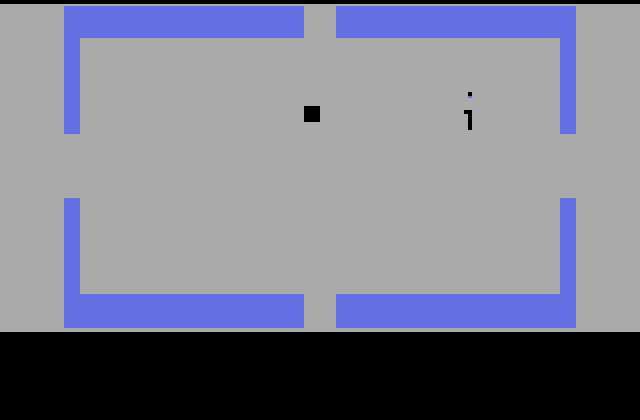 The player and dot must leave the room at the same time (so no one gets left behind). * Finding the cross (I may actually hide the cross in a random location in the next version). * Not getting stuck in an enemy castle/dungeon. * Shooting the wand in the desired direction. * Killing the dragons and eyes (who would have known killing a dragon would be so darn simple? ) I may hide the staff later on or make them faster to make this harder. In a future version there may be baby dragons, and possibly an large elephant (by request). Anyway... definitely looking for suggestions, so please let me know what you like, don't like, and if you can look at the code and make any suggestions, that would be way totally awesome. Edited by Fort Apocalypse, Sat Oct 20, 2007 1:33 PM. Would be nice,if you could add a map. 2PlayerAdv is a nice game. It is the part below where the yellow blocks can be seen. 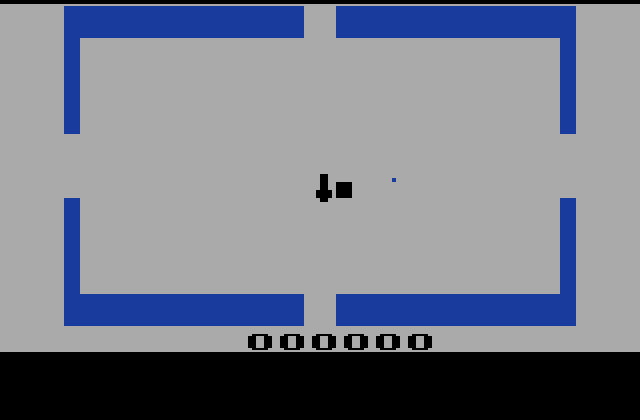 On the emulator this part is permanently flickering, but only in this screen. I'm using Stella 2.4. Yes, I saw that too in Stella 2.3.5. I think it is either a bug in bB or a bug in Stella. Can anyone figure out why it would be doing this?